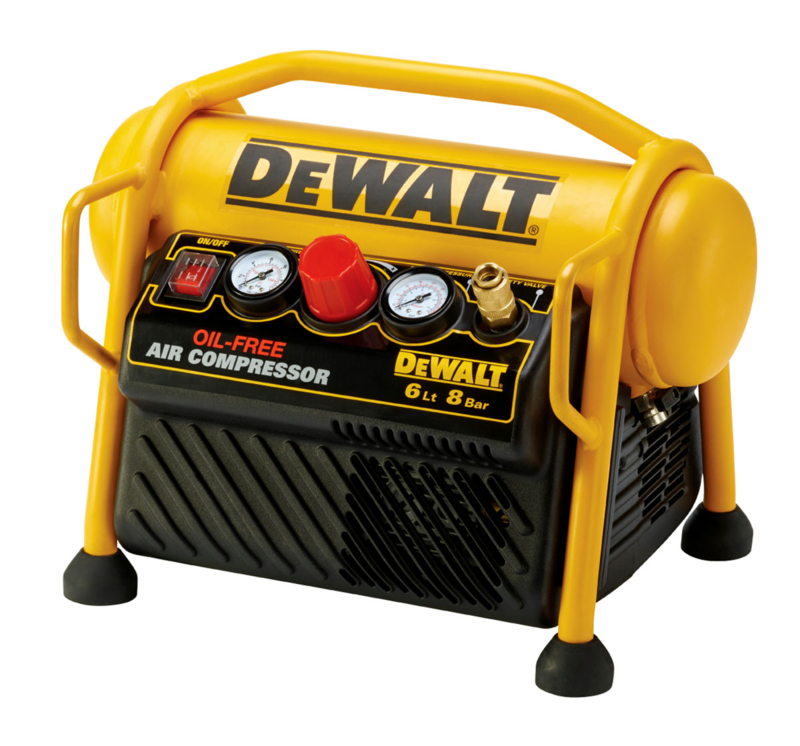 The DEWALT DPC6MRC Mini Roll Cage Compressor is a portable, high power to weight ratio compressor designed for small and medium tools. Powerful enough to power up to 30 brad nailer shots per minute. 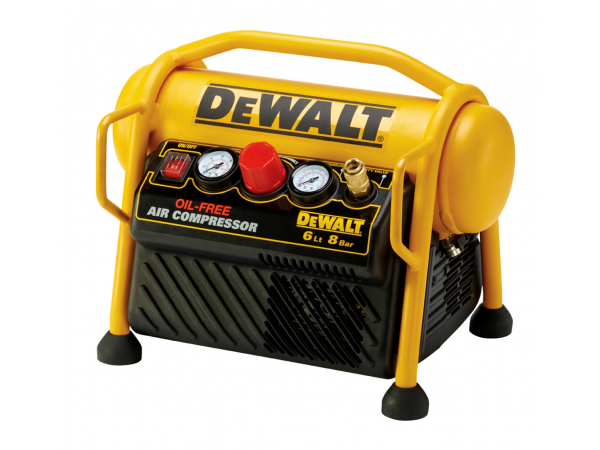 It has a durable oil free motor that provides extended maintenance-free operation. Other features include anti-slip feet for greater stability, integrated storage for convenience and an LED on/off switch to prevent accidental misfire. Ideal for second fix nailing, short burst cleaning and household use. Input Power: 1.5 HP, 1,100 Watt. Max Operating Pressure: 116 PSI, 8 Bar. Dimensions (WxLxH): 445 x 360 x 400mm.